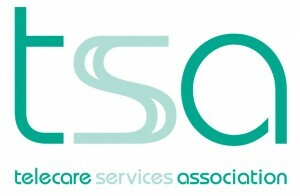 Telecare Services Association (TSA) is the industry body for telecare and telehealth in the UK, and the largest industry specific network in Europe. TSA is a not-for-profit membership based organisation, with a current membership of over 340 organisations including Local Authorities, Registered Social Landlords, Health, private sector service providers, private sector technology suppliers, telecoms and infrastructure providers. Our members support the majority of the 1.7 million service users who benefit from telecare and telehealth in the UK. TSA promotes and supports the telecare and telehealth industry, highlighting the benefits of telecare and telehealth for commissioners across health and social care, service users, their family and carers. Significantly, TSA is the only creator of a user-centred, quality standard for telecare in the world, and our standards – set out in a Code of Practice – are developed in partnership with Government and industry experts.